Simple, right? Sometimes, simple is best. We have a convection warming drawer perfectly sized for most pizza boxes. You can fit three pies in there, and still have plenty of space in our other three ovens for anything else you're making. Hire a chef to make the pizzas and the rest of the meal. All you have to do is show up! Have a chef-instructor teach you how to make pizzas from scratch. 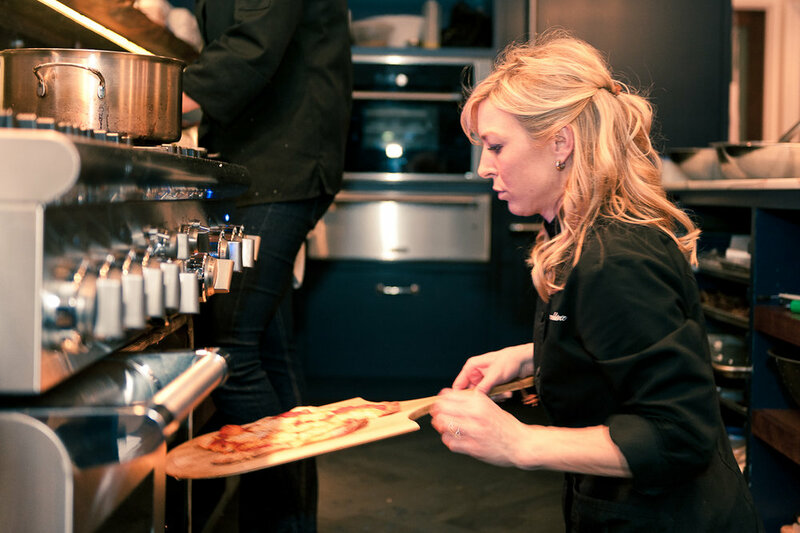 The chef can prepare bites to start and the rest of the courses so you can focus on the pizza-making part. 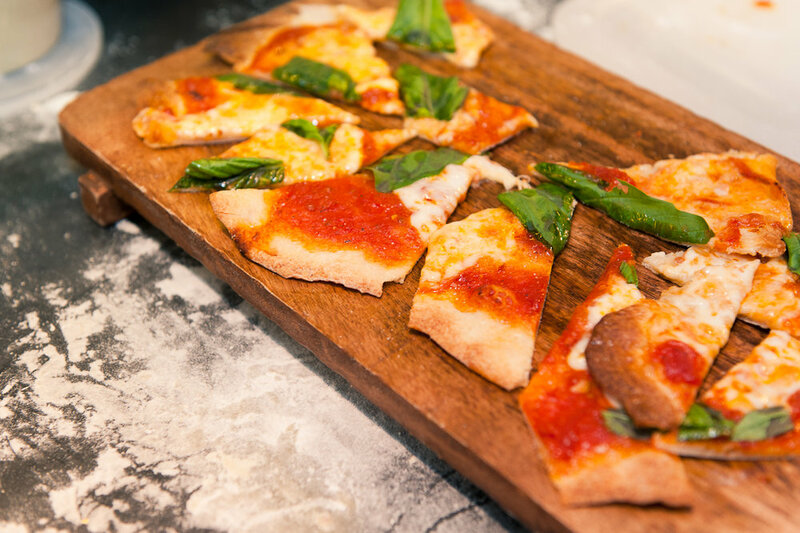 Have a make-your-own pizza night. Line up prep bowls filled with toppings, make (or buy pre-made) the dough, and invite your guests to create their own. Have fun and bring a few adventurous ingredients, cheeses, or herbs. You can add in a little competition if you want. Have a pizza potluck. Order (or enlist some friends to help you make) a few pies, and have your friends bring or make appetizers, salads, pasta, sides, and dessert. For a cocktail-style party (mingling & drinks, with the meal served as canapés and small plates), make as many types of mini bite-sized pizzas as you'd like, and serve small plates of sides and desserts. We've got a pizza cutting wheel, a big Boos block, another big wooden cutting board, pizza stones for the oven, full-size sheet pans, and pizza peels, not to mention the pizza warming drawer. All are included with a reservation. Just let us know you want them in advance so we can show you exactly where they are when you get here. And don't worry about spilling a little flour. We sweep the kitchen three times between reservations.